Oriental lilies are prized for their large star shaped blooms, their rich colours and their heady fragrance. White lilies in particular are especially popular in both wedding bouquets and sympathy arrangements because they represent purity, rebirth and humility. Effortlessly elegant as well as being long lasting, the Clara is a sensational selection of alabaster white lilies, complemented by greenery. 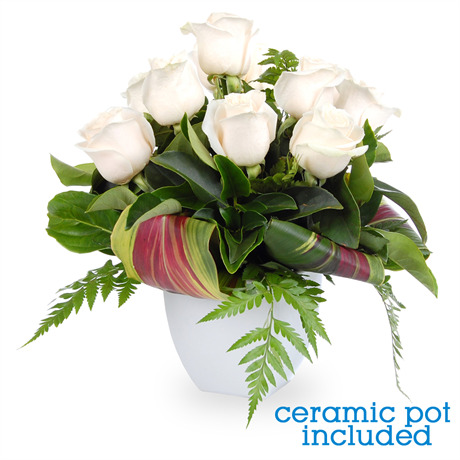 This large sheaf style bouquet is a tasteful gift that will create a long lasting memory, no matter what occasion it calls for. We suggest adding a vase to your bouquet for both convenience and maximum impact.